I’ve given up watching the late-night news. No need to be reminded that the world is going through a bit of a bad patch. Not right before bedtime. And I can’t always be in the garden – the gardener’s happy place, no matter which way we fall on the political divide. 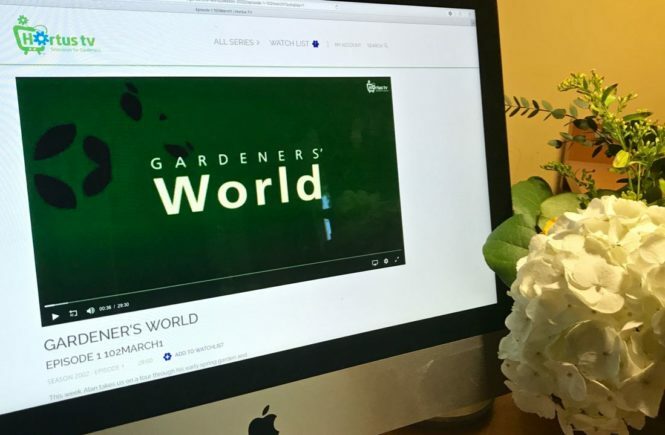 Lately, I’ve found refuge in HortusTV, the online garden network, working my way through hours of (mostly British) garden shows. You can, too, with 25% off for the lifetime of your subscription. Read to the end for your promo code! Although I’d known about HortusTV for a couple of years, I’d resisted subscribing. It’s an online streaming service. I’m already chained to my computer for my job, and didn’t relish having to sit at my desk any longer than I had to. But a chat with HortusTV’s creator Liza Drozdov told me how easy it was to hook up with my wide-ish-screen TV and watch from the comfort of my couch. Now, I’m hooked. Hortus TV is the perfect before-bed or rainy-day viewing. There’s always hope and a sense of renewal in a garden – especially relaxing when someone else has done the digging. As a city gardener, my favourite at the moment is Big Dreams, Small Spaces in which Monty Don coaches regular Joes as they transform their tiny patches into their dream gardens. Here’s what Drozdov replied when I asked her why she created her own little online dream. Hortus TV has excellent programming. I’d been missing the garden shows from cable TV- those specialty channels went from my favourite “go-to’s” to never being watched. 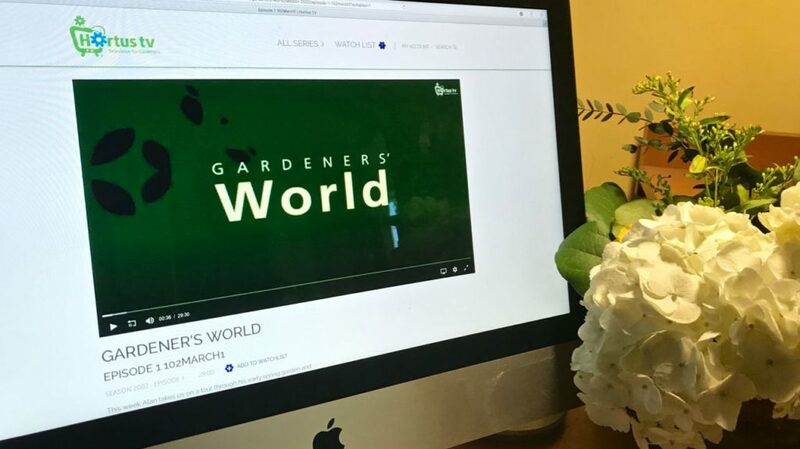 I’ve been a Hortus TV subscriber from day 1 and love it. Kudos to Liza for providing this service! And… love your blog too! I have just been notified by Hortus TV that they are closing up shop due to insufficient subscribers…This will be a terrible loss to North American gardeners and I wish somehow you could get the word out and this treasure trove of gardening shows could be saved. Oh, no, John! You’re right. The site says it’s suspending service immediately. I just wrote to Liza Drozdov to send her my condolences. Drat. Just when the oncoming winter was warming me up for some good garden viewing.